An audit of the Maryland SafeZones speed camera program by the state Office of Legislative Audits found inconsistencies with the SHA's statewide speed camera program. The report stated "SHA did not adequately monitor the Maryland SafeZones program vendor to ensure that the program was properly administered in compliance with all contract requirements," the audit report explained. "The contract contains certain vendor requirements, most of which are intended to ensure program compliance in accordance with state law and are necessary for the valid issuance of a citation when a speeding violation is detected." In particular, the audit noted that trained operators were not always present as required, road signage indicating photo enforcement in use, and the verification and documentation by the vendor of work zone site compliance before enforcement sessions. The audit also found that the SHA's own on-site reviews were inadequate. Out of the 18 work zone cameras during the time the audit was performed, 10 of those sites did not have required inspections. Additionally, the audit found that the number of accidents occurring within work zones were not comprehensively tracked. The SafeZones Program had flunked a similar audit in 2012. Two Montgomery County police cruisers have been involved in accidents within the span of 30 days which seriously injured a pedestrian and a cyclist, according to WTOP. Maryland's upcoming election could have huge implications for transportation policy for years to come. Motorists, who represent the vast majority of commuters, unfortunately often allow their voices to go unheard and unrepresented. "Robert Leonard, former CEO of Force Multiplier Solutions, a school bus camera company that had a contract with Montgomery County, Maryland schools, entered his guilty plea in Texas on Aug. 9. According to the federal plea agreement, Leonard paid $450,000 in a bribe and kickback scheme involving a Dallas City Council member. Leonard also admitted to paying a Dallas County Schools Superintendent more than $3 million in bribes and kickback payments. In return, Leonard’s company, Force Multiplier Solutions, was promoted for contracts with school systems in Texas. Montgomery County entered into an agreement with Force Multiplier Solutions two years ago. The deal eventually put an array of cameras in the entire fleet of Montgomery County school buses. In return, the revenues from violations by drivers who pass stopped school buses would be forwarded to Force Multiplier Solutions. In June, Montgomery County School Superintendent Jack Smith wrote to the Montgomery County Council asking for $4.7 million in supplemental funds for the school bus safety system — now known as Bus Patrol America." See full article at WTOP.com. Force Multiplier Solutions has attempted to shake the scandal by rebuilding itself as an entirely new company under the name "BusPatrol America" and shedding the Force Multiplier brand. “It’s a brand-new company and has no connection with any of the previous ownership of Force Multiplier Solutions,” BusPatrol CEO David Poirier stated to WTOP. However both companies listed the address 8540 Cinder Bed Rd., Suite 400 Lorton, VA 22079 as their registered office, and David Poirier had been listed the registered agent for Force Multiplier Solutions, and several other Force Multiplier Solutions employees now work for BusPatrol. A news article published at the time of Force Multiplier's closing stated that BusPatrol was "taking over the intellectual property" of the former company. (But hey it's not the same company, since if you OK with bribery and fraud, then lies and deception is really nothing). A 2016 memo describes how Montgomery County employees David McBain and Tom Watkins and Richard traveled to Force Multiplier's Dallas HQ and met with school Superintendent Ricky Dale Sorrells and Leonard, who are the subjects of the bribery and fraud scandal. Montgomery County's contract with FSX began shortly thereafter. The relationship between Montgomery County and BusPatrol is so close that the photo of Captain Tom Didone, the head of Montgomery County's entire photo enforcement program appears on the BusPatrol website to promote the company's business. Montgomery County has pushed the state legislature first to authorize the issuance of stop arm camera citation, and then to raise the fines. These violations now carry the lowest burden of proof of any violations in Maryland, and do not provide any right to face the accuser or operator nor do many of the limitations or legal protections which apply to speed camera citations apply. As a result this has quickly become a multi-million dollar per year program. However, there is no evidence that this has had any effect at reducing traffic fatalities, primarily because the rate of traffic fatalities caused by this was essentially zero in the county already. Data published by the NHTSA shows that traffic fatalities caused by vehicles passing school buses are among the least common cause of school transportation fatalities. In fact NHTSA data shows that for a student to be killed by being "struck by school vehicle" (which is rare to begin with) was three times more likely than a fatality where they were "struck by other vehicle involved in collision". Locally, there had been no recent traffic fatalities cited to have been caused by this type of violation in Montgomery County prior to the creation of the program, whereas school buses struck and killed pedestrians in Maryland in June 2015 and March 2013, and other collisions involving Montgomery county school buses and pedestrians have also occurred in recent years. Nevertheless, the county's stop arm cameras have become highly profitable. Maryland residents are being given their first opportunity to provide public comment on Governor Hogan's $7.5billion plan to build new toll lanes on I-270, the Capital Beltway, and across the American Legion Bridge. Last September Governor Hogan announced his plan to build a 40 mile network of express toll lanes along I-270 and I-495. The plan's stated purpose is to reduce traffic congestion. However the lanes would likely be "congestion priced", meaning tolls would be variable and could rise arbitrarily high, and other congestion priced projects such as the I-66 toll lanes in Virginia have recently drawn criticism for allowing tolls to routinely rise above $40 for 10 mile trip. Toll roads have their place, and this project has the potential to alleviate the region's crushing traffic congestion. However express toll lanes are not without costs for the public. They constitute an enormous use of eminent domain and public resources that could have been used for other purposes. The purpose of toll roads should be to reduce regional traffic congestion, not to spare only the extremely wealthy from the tax on their time which a lack of investment in our roads creates. The purpose of such roads must certainly not be to simply enrich private companies. In the best case these roads could ease travel for many motorists, but there is also the potential that an improperly implemented express lane plan would create a financial incentive for public officials to ignore worsening traffic congestion on the non-tolled roads in order to force people into paying excessive tolls. Drivers in Maryland were recently treated to a significant increase in the state gas tax, and we are entitled to see public funds spent building more non-tolled roads and road improvements. If new express toll lanes are to be built, it must be with the intention of reducing congestion on ALL roads, not just to maintain an arbitrary speed within the toll lanes. Ideally congestion pricing should NOT be used. Congestion pricing is generally a bad deal for motorists, because its purpose is literally to tax them off the road. Instead tolls should be set at a rate deemed reasonable for average motorists motorists so that commuters can plan their daily trip with full knowledge of the cost in advance. If "congestion priced" tolls will nevertheless be used, then it should be set at a level which maximizes total traffic flow, not just flow within the toll lanes. Motorists should insist that if congestion priced tolls are used they must always be CAPPED at a reasonable price per mile, such that motorists won't be charged prices ordinary people cannot afford for a short trip. Elected officials must be the ones accountable to voters for setting toll rates, not an un-elected board or a private company. Elected officials should specifically be accountable if the maximum price per mile is one the average voter cannot afford: if members of the state legislature are unwilling to put their name next to a toll rate then it is too high. And motorists should receive a guarantee, written into law, that the revenue from any express toll project will be invested exclusively into ROADS, including improvements in non-tolled roads, not siphoned off to other projects. Two bills which aim to remedy longstanding complaints about photo enforcement and are currently before the Maryland General Assembly. House Bill 1151 would require that speed camera citations "provide an accurate visual record of a motor vehicle" and "an accurate representation of the distance traveled by the motor vehicle between each time-stamped image". This is intended to address a long standing concern that many citations do not provide sufficient information to verify the speed of a vehicle. This is in response to numerous complaints of erroneous citations, including systematic speed camera errors in Baltimore City, as well as other documented cases such as the City of Rockville and College Park where speed cameras have been documented to have recorded incorrect speeds for vehicles. In addition, HB1151 would clarify the calibration requirements for speed cameras, including stating that calibration tests must include "A CHECK OF ALL KEY SYSTEMS RELEVANT TO THE ACCURACY OF THE SYSTEM". This is in response to the fact that current law basically does not state what a speed camera must actually be tested for. In one example in the City of Rockville, an erroneous citation was issued to a school bus by a speed camera which passed all their calibration tests perfectly. The calibration records did not in fact state that the device had been certified for any specific purpose or that they had actually been tested to verify they could accurately record speed, only the device was only tested according to unidentified "manufacturer specifications". Had the complaint about the violation been raised by a private citizen rather than local school board, the error would likely have been denied. Yet despite the gaping shortcoming of providing no idea what devices are being tested for, under current law such calibration records are still considered almost absolute proof of guilt by the District Court. House Bill 1151 also requires that if an individual contests a speed camera citation, and requests the "operator" of the device appear, the actual individual who signed the camera logs or the actual officer who signed the citation must appear. Under current law, many cases jurisdictions substitute a "representative" to appear in court in place of the person that signed the camera logs. In many cases such a representative has no first hand knowledge of how the device was calibrated and is free to respond to any questions from the defendant with shrugs, "I don't know", or canned responses regarding what the operator is supposed to do rather than personal knowledge of what the operator actually did. This effectively denies defendants their constitutional right to face their accuser and allows hearsay evidence to be used against them. The Maryland Drivers Alliance has been calling for changes such as this to state law for years, because this would make speed cameras less unfair to the accused. Citizens who wish to support House Bill 1151 can contact the Environment and Transportation Committee at the addresses above, or contact the bill sponsor to find out how you can provide formal written testimony in support. A second bill, HB1365, would require that anywhere a speed camera is in use in a school zone, "A DEVICE THAT DISPLAYS A REAL TIME POSTING OF THE SPEED AT WHICH A DRIVER IS TRAVELING" also be installed. Such devices are referred to as "Radar Speed Display Signs" or "Your Speed" signs. Numerous studies have shown that the presence of "Your Speed" signs are effective at reducing speeding in school zones. A study by the Maryland SHA found that radar speed signs reduced average traffic speeds by 2-7mph, increasing voluntary compliance without the need for citations to be issued. 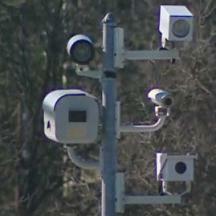 HB1365 is likely to be opposed by jurisdictions which profit from speed cameras, despite the fact that radar speed display signs have been proven highly effective at reducing speeding and improving safety, and despite the fact that existing speed camera revenues could cover the cost of installing such safety devices. (the base of operations for the largest photo enforcement program in the state). such safety devices near schools because that would reduce speed camera revenues. HB1365 is sponsored by Delegates Wivell, Cillberti, Krebs, Long, McComas, McKay, Parrott, and Reilly. The hearing for HB1365 will be in the Environment and Transportation Committee on March 2nd. The state legislature is considering creating an entirely new form of photo enforcement in Maryland. The bill identified as HB0749 in the House and SB0551 in the Senate would create "Bus Lane Monitoring Cameras" that would issue automated tickets to vehicles which enter lanes reserved for buses. The bill sponsors are Senator Joan Carter Conway (D, Baltimore City) , and Delegates Robbyn Lewis (D, Baltimore City), Angela Angel (D, Prince George's County), and Delegate Brooke Lierman (D, Baltimore City). The fines under the bill would be issued to the vehicle owner, not the driver, and would carry a fine of $100 (more than twice the amount of a Maryland speed camera ticket). The fiscal policy notes for the bill state :"Because fine revenues are paid to the jurisdiction in an uncontested case, local revenues increase." Bus lane cameras are not used in many other jurisdictions, however New York City was able to collect $17million in revenues from bus lane cameras in 2016. The hearing for the bill in the House Environment and Transportation Committee took place on February 22. Proponents of photo enforcement have generally claimed that photo enforcement is necessary for safety. However in this case the bills sponsor in the house cited the desire to move buses more quickly rather than a safety purpose, and did not present any evidence showing a safety benefit from such cameras. It is possible the passage of such a new form of photo enforcement could open the door to other kinds of mass surveillance for non-safety related purposes. The bill was praised by Montgomery County delegate Al Carr (D, Montgomery County), an anti motorist lawmaker who has promoted other new types of non-safety related photo enforcement last year which would ticket for the mere presence of certain types of vehicles, and he stated that he wanted to see bus lane camera in Montgomery County as well. Two citizens appeared to support the bill in the house committee, both were speaking on behalf of groups representing cyclists, a form of transportation which is completely immune to photo enforcement systems since bikes do not have license plates. The cameras would likely be used first in Baltimore City. Baltimore has a troubled history with photo enforcement. The city's speed camera program needed to be shut down in 2012 after it was discovered that erroneous speed camera citations had been systematically issued to innocent motorists. As a further demonstration of the city's competence, on the first day the Baltimore City speed camera program was restarted, the city issued hundreds of erroneous duplicate citations. In another case of gross incompetence, the city of Baltimore issued 2000 citations which had been "signed" by a deceased police officer, and these citations were never refunded. The city has also been struggling with a recent scandal where Baltimore City Police Officers allegedly faked body camera footage to ensure convictions of defendants. The Maryland SHA has stated that it will no longer install a model of guardrail blamed for causing traffic fatalities in several states, but has yet to remove them from existing roadways. Ten states have ordered the Lindsay X-Lite guardrail pulled from roads and replaced with models which meet the newest crash safety standards set by the Federal Highway Administration. The Maryland SHA has stated that it will not install more X-LITES on roads, but approximately 980 units remain on Maryland roads. Retired SHA traffic engineer Gene Simmers believes Maryland should replace the existing guardrails with ones that meet the latest federal safety standards “You know there’s a problem. You know that there are other states that have removed them for safety reasons,” stated Mr Simmers. According to an article in USA Today, the X-LITE was located at the site of six crashes involving fatalities in Tennessee, Missouri, and Virginia. In five of those crashes the guardrails effectively impaled the vehicle. In two fatal crashes in Tennessee — the guardrails "did not perform as they were intended to," stated B.J. Doughty, the department's communications director. The devices are the subject of several lawsuits involving traffic fatalities in other states. The guardrails had been tested by a lab owned by the manufacturer, which some claimed was a conflict of interest. In April of last year, the Tennessee Department of Transportation send a letter to the Federal Highway Administration, calling on the agency to revoke their approval for the use of the devices, stating "I believe it appropriate to notify Federal Highway Administration of our inability to receive satisfactory installation information from the manufacturer and that in-service performance of this device is resulting in unacceptable safety levels for the department" and noting that the FHWA has the authority to revoke the acceptance of devices to be eligible for federal funding. Maryland pulled the devices from their approved product list last year, but many remain in use. Most state DOTs did not independently test the devices themselves before using them. But when Virginia ran their own tests they found that the devices failed, prompting the Virginia to remove it from the state's product list and VDOT is replacing it on roads where the speed limit exceeds 55mph. The manufacturer defends the devices and claims they save lives, "For decades, Lindsay Transportation Solutions has made safety our No. 1 priority. ... It is widely recognized that there are impact conditions that exceed the performance expectations of all safety equipment, and equipment’s inability to singly prevent every tragedy does not indicate a flaw or defect." stated the president of the company's infrastructure division.